Nearly 13 years have gone by since then, but I have not forgotten you. FDNY has always had great officers, and you were one of them. You lead by example on 9/11 and always took care of your people. I want to thank you for being a good officer, Lieutenant Crisci. It was a good decision that you made that kept me alive on 9/11. I have dedicated my fire service career to your memory. If it were not for you, I would not be alive today. Thank you, Lieutenant, for saving my life that day just outside# 1 World Trade Center. I think about you each day I am on duty, and I will never forget you. 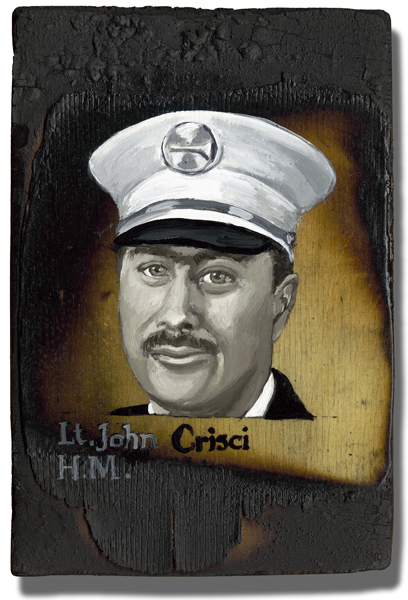 My name is ben crisci and john was a cousin.I never met john but when I found ouy I just wanted to say I was most proud to have a man in my family and say thank you john,for being a hero.